Our post-and-beam barn provides a lovely starting point to set up your personalized wedding ceremony. Great acoustics for the spoken word, and live or recorded music add to the atmosphere. Arching beams create a cathedral-like ceiling with an open floor. Any number of decorating ideas may be incorporated to reflect your unique character. Our grounds may be used for an outdoor ceremony, keeping the barn as an inclement weather backup location. The barn seats up to 225. Pricing WEDDING CEREMONY AND RECEPTION PACKAGE—Includes up to six hours on grounds (additional hours available); ceremony chairs; tent with picnic tables, recreational facilities, if desired; access to private rooms for bridal party before the ceremony, free advance decorating time, by arrangement. $750 minimum or $13.99 per adult; $6.99 per child with parents; Children under 4 years-old free. WEDDING RECEPTION—Includes up to six hours on grounds (additional hours available); tent with picnic tables, recreational facilities, if desired; free advance decorating time, by arrangement. $750 minimum or $13.99 per adult; $6.99 per child with parents; Children under 4 years-old free. WEDDING CEREMONY— Includes up to two hours on grounds, ceremony chairs, access to private rooms for bridal party before the ceremony, free advance decorating time, by arrangement. $300.00. PARTY AND EVENT RENTAL—Includes up to six hours on grounds (additional hours available); tent with picnic tables, recreational facilities; pool with lifeguards (in-season), free advance decorating time, by arrangement. $750 minimum or $13.99 per adult; $6.99 per child with parents; Children under 4 years-old free. Additional Services Wedding Rehearsal—Dates may be reserved for $150.00 Banquet Tables and Chairs—$10 per table and $1 per chair. Cloth-like paper covers, $5 each; Cloth covers, white or ivory, $8 each; you may also arrange for cloth table covers through your caterer or on your own. Insurance—Groups need to show proof of general liability insurance coverage for their event by providing us with a valid certificate of insurance. If you do not carry insurance an event policy must be purchased either through our insurer (typically $125.00) or the insurer of your choice. PA System—A PA system with speakers, amplifier and microphones is available at $150 per event. Shuttle Vans—Service is available at $75 per hour, per vehicle. Deposits and Payments A non-refundable deposit is required to secure a date. Payments may be made in the form of cash, check, or credit card. Wedding Ceremony and Reception Deposit: $750.00 Wedding Reception Deposit: $750.00 Wedding Ceremony Deposit: $300.00 Party and Event Rental Deposit: $750.00 Confirmed Number (guaranteed minimum) of guests must be given to us no later than five business days before the scheduled date. The number of guests may be increased by contacting our office. If the number of attendees is less than the confirmed number, the guaranteed minimum number of guests will still be charged. Payment of balance is expected five business before the scheduled date, at the time number of guests is confirmed. Additional Information and Policies Cancellation Policy—The initial Event Deposit is non-refundable. If cancellation is due to expected inclement weather, the deposit may be applied to an alternate date, as available. Live Music and DJ’s—Very loud amplified music outdoors is limited by town zoning ordinances. We will permit Disc Jockeys or Bands with the understanding that our requirement for controlling the sound that leaves our property be met. Live, un-amplified acoustic music is always permissible. Liquor & Bartender Service—Alcohol must be purchased by the event host, or provided by a licensed bartending service, or brought by individual guests for their own consumption. Swimming Pool—The pool is available from early June to September. Lifeguards are provided. Only persons with bathing suits are permitted to use the pool. Lifeguards will be in complete charge and will insist that all pool safety and health rules are enforced. We have two 25 yard in-ground pools. One is generally reserved for picnic use and one for our family club members. Sports Equipment—Equipment for all listed activities is provided with the exception of softball gloves. Fastpitch Softball and Baseball are prohibited without proper equipment and adult supervision provided by group sponsors. Our party and event rental package includes full use of our facility for up to six hours. Our event tent, barn and all recreational facilities may be utilized, including pool with lifeguards (in-season). 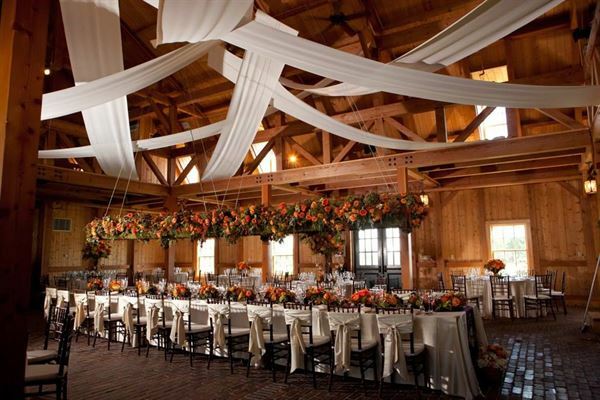 The barn and tent can host meetings as well as parties and can be set in many configurations of tables and chairs. Audio-visual aspects are available. The tent is regularly set up with picnic tables that can be rearranged, replaced, or augmented with display tables, or banquet tables and chairs for an additional fee. A small stage can be set-up or, there’s plenty of room for a larger, custom stage, if desired. Smaller groups (85 and under) may elect to dine in our post-and-beam barn. Mansfield’s Holiday Hill venue worked out perfectly for a gathering of families the evening before our son’s wedding. Prior to the event, our questions were answered promptly. On the day of the event there were several employees who checked in with us to make sure we had everything we needed. The beautiful post and beam barn was lovely and airy and accommodated our party of 40 comfortably. The kids had a great time too. The younger children enjoyed the train, swing, and playscape while the older children enjoyed miniature golf and basketball.